Here lies a beautiful two piece metal art set made with high quality decorative metal. 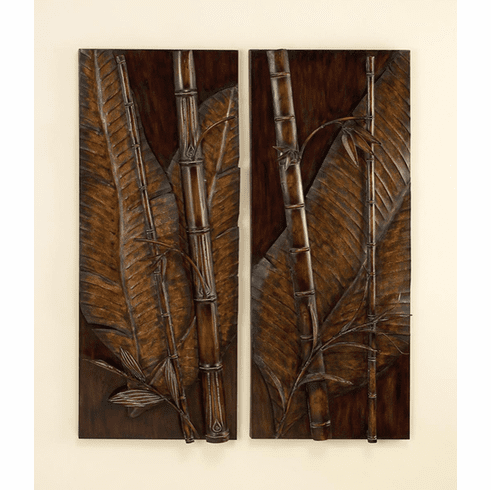 These two pieces of metal bamboo will absolutely illuminate your every room. It features abstract shapes and patterns hand-painted in outstanding colors. It also works well with many different themes of decor. This decor is very large, measuring approximately 34" High x 14" width. Arrange them any way you want to - in a different order, upside-down, horizontal - whatever you like! Coloring may vary slightly since this set is hand-painted. Dimensions: 35" x 15" x 5"